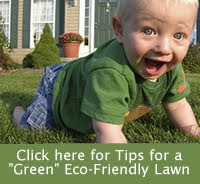 Here’s another great EPA video I found that goes along great with our new page, Tips for “Green” Eco-Friendly lawn care. In addition to being Garden for Wildlife Month, May is also American Wetlands Month, a time “to celebrate the vital importance of wetlands to the Nation's ecological, economic, and social health”. As gardeners, we play an important role in helping to protect local wetlands. Animal habitat – Wetlands provide habitat for plants and animals in the watershed. Water storage - When rivers overflow, wetlands help to absorb and slow floodwaters helping to prevent damage from floods. Water filtration - Wetlands also absorb excess nutrients, sediment, and other pollutants before they reach rivers, lakes, and other water bodies. Recreation - They are great spots for fishing, canoeing, hiking, and bird-watching, and they make wonderful outdoor classrooms for people of all ages. But the bad news is, despite all the benefits provided by wetlands, the United States loses about 60,000 acres of wetlands each year. The very runoff that wetlands help to clean can overload and contaminate these fragile ecosystems. As a homeowner, you can help protect wetlands by following other steps that help to prevent polluted stormwater runoff. Create swales (small dips in the ground) and berms (raised earthen areas) to help divert runoff to porous surfaces. Incorporate porous surfaces Whenever possible, use bricks, gravel, turf block, mulch, pervious concrete or other porous materials for walkways, driveways or patios.